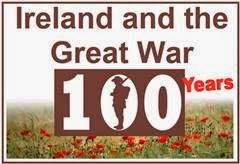 Cavan County Library has announced details of a two-day programme to commemorate the First World War. It will be held on Wednesday 6 and Thursday 7 August at Johnston Central Library in Farnham Street, Cavan, and features a line up of poets, novelists, playwrights, historians and musicians in a stimulating and entertaining mix. Booking is necessary as places are limited. To book, email cavangenealogy@eircom.net or phone +353 (0)49 436 1094.